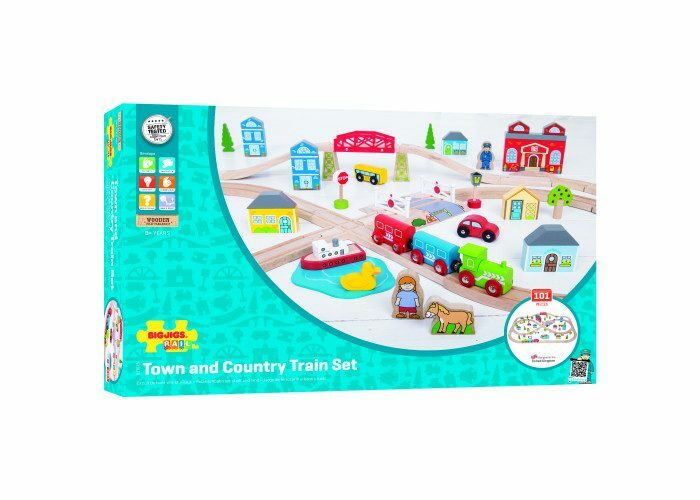 Bright young minds can enjoy the best of both worlds with this wooden Bigjigs Rail Town and Country Train Set! 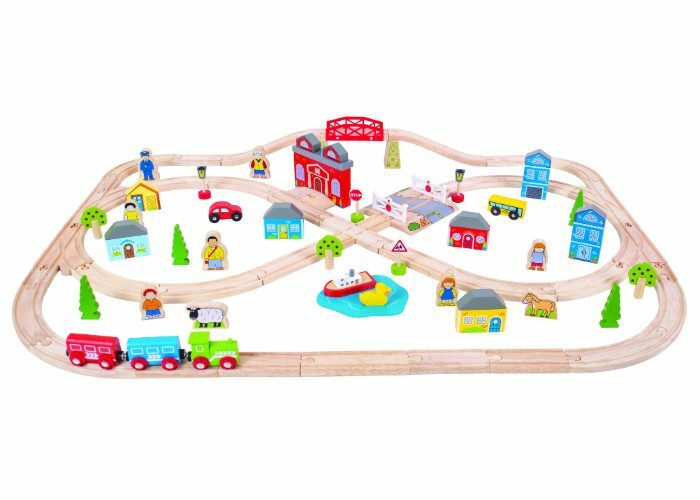 From the town station, take a ride to the country store, through the woodland and out to the river before returning home again. 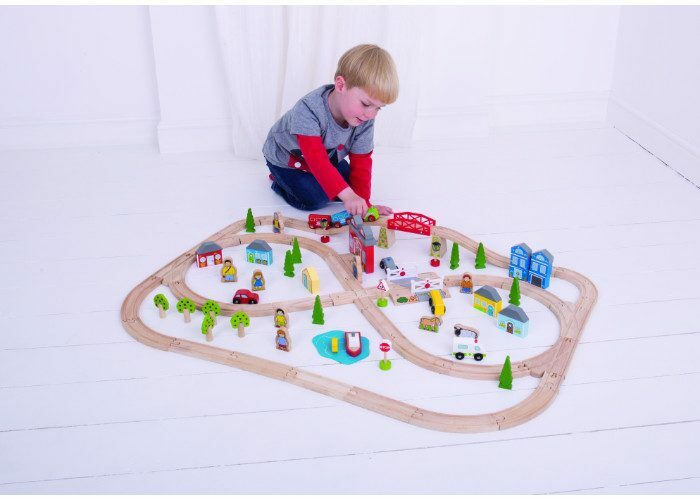 Wooden houses, cars, town and country folk plus a level crossing and a boat will keep young minds entertained with endless play scenarios. 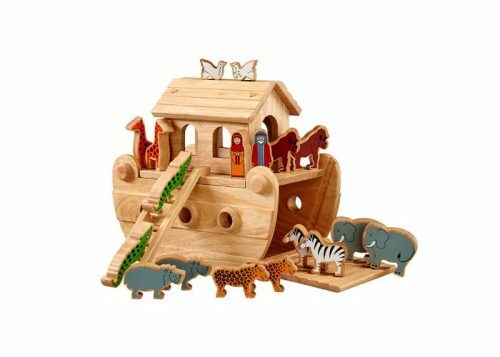 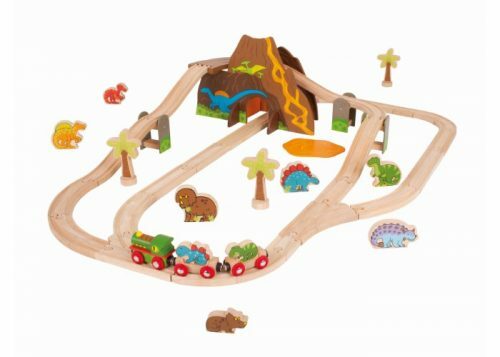 Consists of 101 sturdy wooden track pieces and accessories.